Members of the National Ambulance Service Representative Association (NASRA) called for union recognition at a lunchtime protest outside the HSE headquarters at Dr Steevens’ Hospital, Dublin, on 1st November. 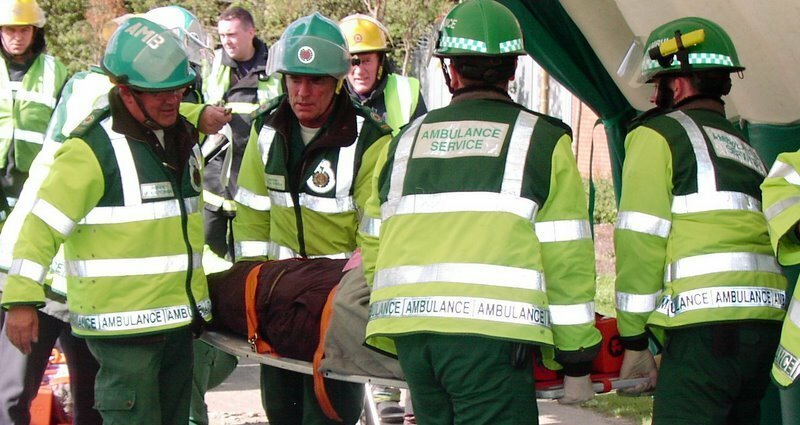 This follows on from previous protests and the resounding vote in favour of action up to and including a strike by NASRA members in the summer. NASRA is a branch made up of ambulance personnel (including paramedics and emergency medical technicians) in the Psychiatric Nurses Association (PNA) which has been successfully dealing with workplace issues for the past eight years and continuing to grow in size. 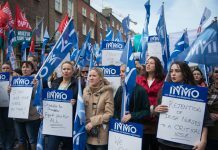 The HSE have now refused to allow union fees to be deducted from payroll, despite this practice being the case for every other union. They are also refusing to negotiate with NASRA. People Before Profit fully supports the right of workers to organise themselves and join a union of their choice. Workers, therefore, have a right to decide which union will represent their interests. It should not be up to management to dictate which union is acceptable. We stand in full solidarity with these workers and call upon the HSE to meet their demands.